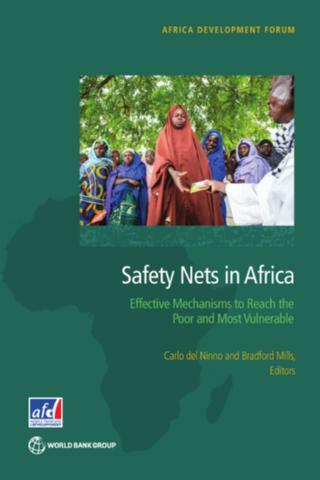 Empirical evidence from country studies in Cameroon, Ghana, Kenya, Malawi, Mozambique, Niger, and Senegal shows that it is possible to reach the poorest and most vulnerable people in Africa with safety net programs. Researchers focused on the effectiveness of three common methods—geographic, community-based, and proxy-means tests—to target households for program assistance. Their report, Safety Nets in Africa: Effective Mechanisms to Reach the Poorest and Most Vulnerable, presents clear evidence that is possible to target chronically poor households effectively using proxy means tests (PMTs) and to improve the performance of targeting by combining PMTs with geographic and community-based targeting methods. New methods to efficiently identify those affected by a shock and in need of short-term safety nets are promising. Proxy-means-test-plus (PMTplus), for example, is a variation of PMT that incorporates the impact that major shocks (such as drought, flood, incapacitation, or death of a family member) have on households in order to identifying new short-term poor households. When effective, PMTplus can improve program coverage of deserving vulnerable households affected by shocks and crises. The authors demonstrate that a combination of targeting methods is often most effective in identifying intended populations of beneficiaries. The best mix of targeting methods depends on the objective of the program and the circumstances and experiences of each country. Considerations governing the choice of best method mix include program targeting criteria, cost-effectiveness, timely identification of potential beneficiaries, and compatibility with country analytical and implementation capacity. Further investments beyond targeting methods are often also needed in basic information on shocks, reliable databases on potential beneficiaries’ exposure to shocks, and validated methods to measure the impact of exposure to shocks on household consumption. Priorities for investments in targeting systems should be country-specific. Many countries still need to make basic investments in current standards such as clear program targeting criteria, national household budget surveys, and geographic, country-based, and PMT targeting methods. For those countries looking to move beyond current standards, investments should be driven by need. If poverty is highly concentrated geographically, then investments in geographically refined targeting (possibly combined with methods to identify individual households within areas) will be a priority. If chronic poverty is widespread, then methods to improve PMT performance will be a priority. Similarly, if vulnerability is high due to exposure to shocks, then investments in PMTplus methods and associated information needs to improve targeting of vulnerable households will be a priority.